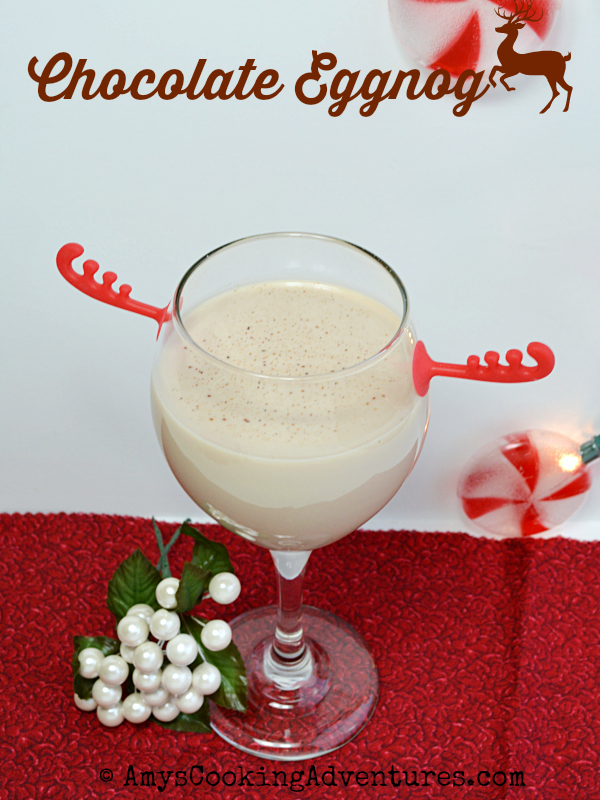 Are you ready for my new most favoritest Christmas drink?? 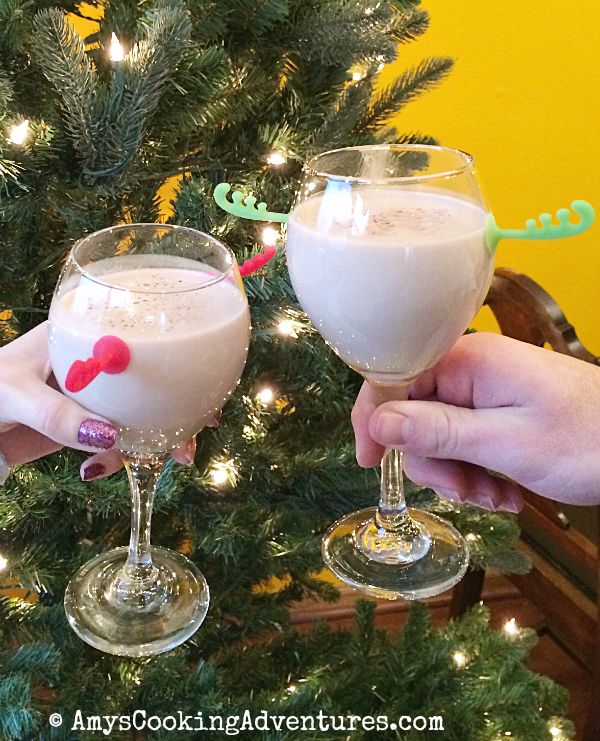 It’s spiked eggnog to the nth degree, because chocolate. And if you’re serving this to the kiddos, you can totally omit the booze and it’s equally delicious! So go, make some chocolate eggnog and trim that tree. And enjoy that cup of Christmas cheer, you deserve it. Place the eggnog, chocolate milk, and whiskey in a large measuring cup and stir lightly to mix. Pour into two wine glasses. Sprinkle with nutmeg and enjoy.